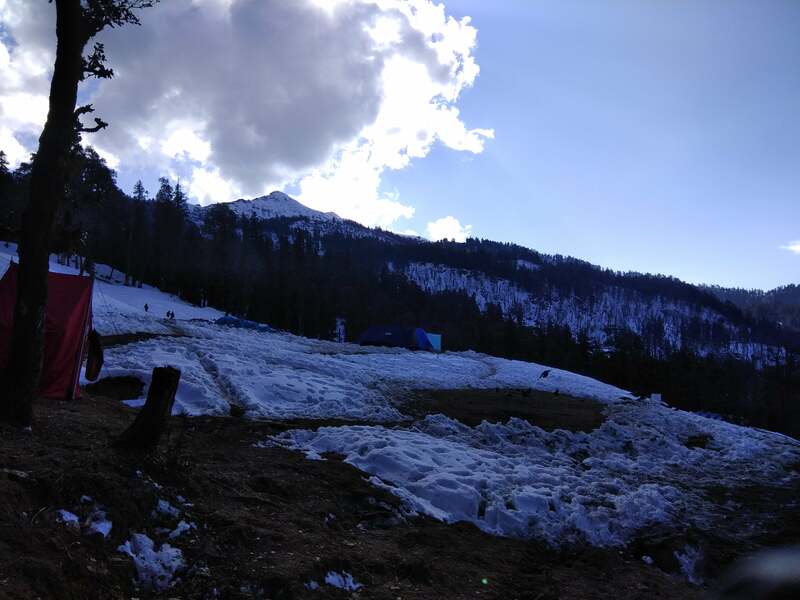 After 3 months of savings, reading blogs and watching videos of Kedarkantha trek and almost a year of dreaming of a snow trek I was finally ready to leave for Dehradun to summit my first peak, i.e. Kedarkantha peak. I was at ISBT Chandigarh once again. I had just come back from beautiful Dayara Bugyal trek and then had 2 days to rest before leaving for Dehradun again. I was happy and excited as well. I wanted to summit the mountain and witness the beautiful sunrise from there, wanted to challenge myself and check my limits. I was mentally prepared to experience subzero temperatures, trek in snow and was ready to face all the challenges that would come my way during the trek. 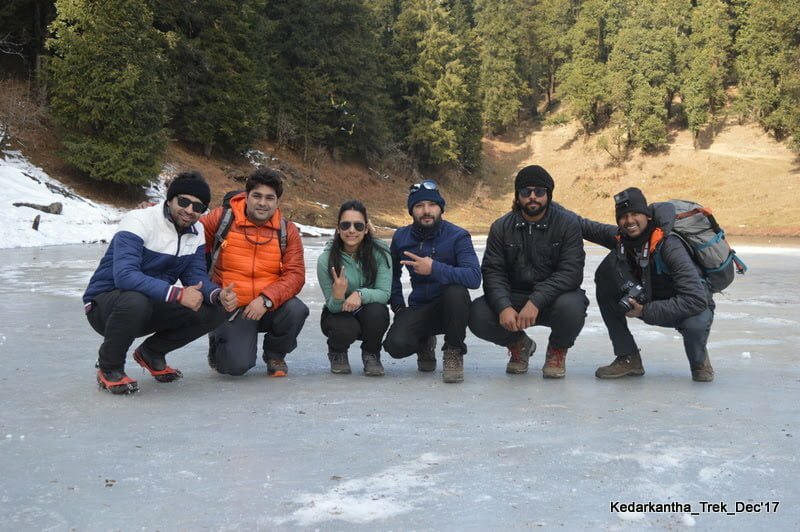 Kedarkantha is one of the most famous winter treks in the Indian Himalayas.The peak lies at an altitude of 3800 meters above sea level. This trek is situated in the western Garhwal region in the Uttarkashi district of Uttarakhand. I boarded an overnight bus to Dehradun from Chandigarh. The roads felt familiar but the feeling was totally different. It was a feeling of living my dream. I could hardly sleep in the bus. Day 1: Drive from Dehradun to Sankri. I reached Dehradun around 6 a.m. I was supposed to trek with a group from Delhi and our trek leader Manu. After brief introduction with everyone we left for Sankri on a cab. Sankri is around 210 kilometers from Dehradun. The road journey from Dehradun to Sankri passes through towns of Mussoorie, Purola and Mori. It took us around 7 hours to reach Sankri. Kedarkantha trek starts from Sankri village. Reaching the village, we checked into our rooms at the guest house. Our rooms had some breathtaking views. After refreshing up we decided to stroll around the village. It was getting cold already and I was wondering how am I going to make it till the peak? The entire night, I kept thinking about the same. 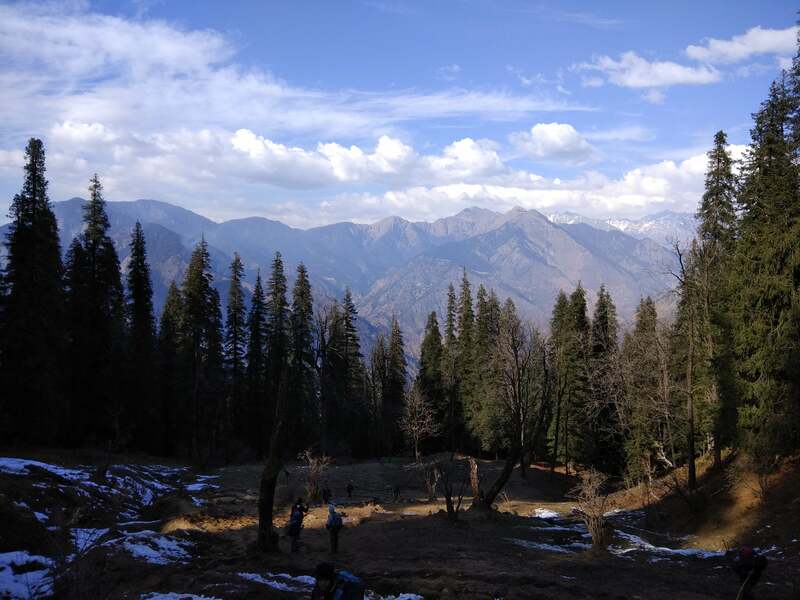 Day 2: Trek from Sankri to Juda ka Talab. It was 31st December and I knew I was going to make it the most memorable one. We started from the village and entered into the woods. It was so silent that we could even hear the sound of woodpecker drilling holes in the tree, without disturbing we kept moving forward. First day of the trek is always difficult as the body is not warmed up completely. This day was no different. After almost one and half hour of trek, we stepped into a small meadow, where we halted for lunch. The sun was out and it was the perfect way to enjoy the delicious paranthas with aloo. I laid down on the ground to relax and prepare myself for the trek ahead. Beautiful views on the way to Juda ka Talab campsite. It was another one hour before we reached the campsite for the day. The path now had a little bit of snow and that only made me imagine me playing in snow on the basecamp. The last section till the Juda ka Talab campsite was a steep climb. It made us tired. But as soon as we reached our campsite, suddenly all the tiredness was gone. The view in front of us was amazing. It felt as if all the hard work for the day has paid. Our campsite was covered with snow in the front. We retired into our tents to add a layer because it was getting cold outside. Everyone made them comfortable around the bonfire to celebrate the night of 31st December. We were served with delicious pakodas and hot tea around 5 pm. Everyone shared their life stories. Entire evening was spent listening to each other’s stories and dancing on some music. It was a full moon and the snow was shining right in front of us. What a feeling it was! After celebrating the night, we retired to our tents to sleep. Day 3: Trek from Juda ka Talab to Kedarkantha basecamp. On the first day of the year 2018, we woke up to the beautiful sunrise around the campsite. The sun was out and was shining bright. And to make our day, Chain Singh Ji served us aloo poori with tea. We started our trek for the day. It was an easy and short trek as compared to the previous day. Firstly, we visited the frozen lake and spent some time their admiring it’s beauty. Then we continued further, we were walking on the trail initially. 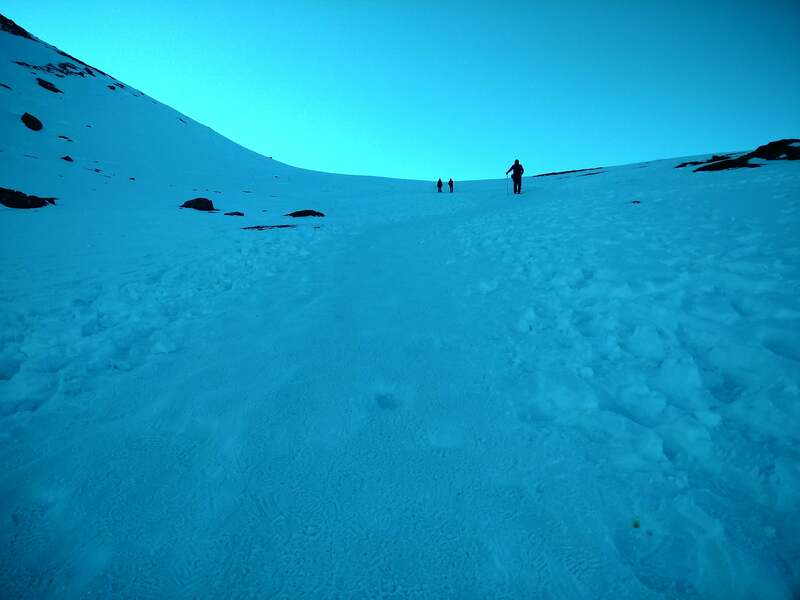 Once we started to approach the basecamp, we were on the snow covered trail. Posing on the frozen lake. It took us around 3-4 hours to reach the basecamp. The campsite was covered with snow all around. I had this feeling of being into another world. The clouds took over the sun and the temperature dropped. We went into the jungle to arrange for some woods so that we could melt snow. In middle of all this, it started snowing. It was my first snow of the season. We all enjoyed playing in the snow after lunch. We could see the peak from the campsite which kept us motivated. The entire day was spent playing in the snow and admiring the beauty of the campsite. We retired into our tents after having our dinner around 7 pm. On the way to basecamp. It was The day I had been dreaming for since months. 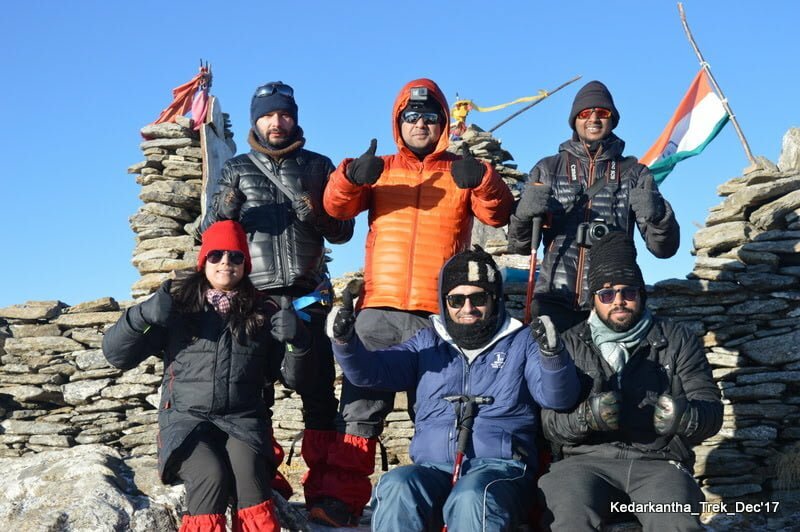 We were finally going to submit the Kedarkantha peak. I woke up at 3 am. My tent was froze from inside. It was very cold outside. I didn’t want to move out but the feeling of my first summit kept me going. I moved out of my tent only to find snow for as far as I could see. After getting ready for the summit, we went for having our breakfast. We had porridge and tea. Chain Singh Ji provided us with boiled water for trek. We had put our gaiters on, which would protect us against slipping on the snow. We left the basecamp around 4 am. It was very cold outside around -15 degree Celsius.We had to use our torches to keep moving. We were moving all over the snow. The initial 2 hours of trek was not very steep. After two hours of trek, we were on the foot of the Kedarkantha peak. This was the closest I have even been to a mountain. I wanted to be there on the top and experience the sunrise as soon as possible. The water I had with me had already froze. The conditions were tough but I had the self belief. I could see the ridge that I had to climb. It was very steep, the most difficult section of the trek, but I kept climbing. The scenario was magical, as I could see the sun rise behind the mountains on my left and the moon was setting to my right. Just four minutes before the sunrise, I made it to the top. I hurriedly sat on a rock to experience the sunrise. And what a feeling it was. MAGICAL! This was one of the most memorable moments of my life ever. It was so cold that I could not even move my finger despite of wearing gloves. I knew that I couldn’t spend much time here. So I clicked few pictures and started descending. Now descending on snow is fun. The section which takes around 30 minutes to climb, takes only 5 minutes to descend. Also we slided down in many sections. We trekked down till the Juda ka talab campsite. We reached there around 5 pm. It was a long and tiring day. We had a celebration of successful summit around the bonfire and later everyone retired to their tents. Beautiful trails on the way back. 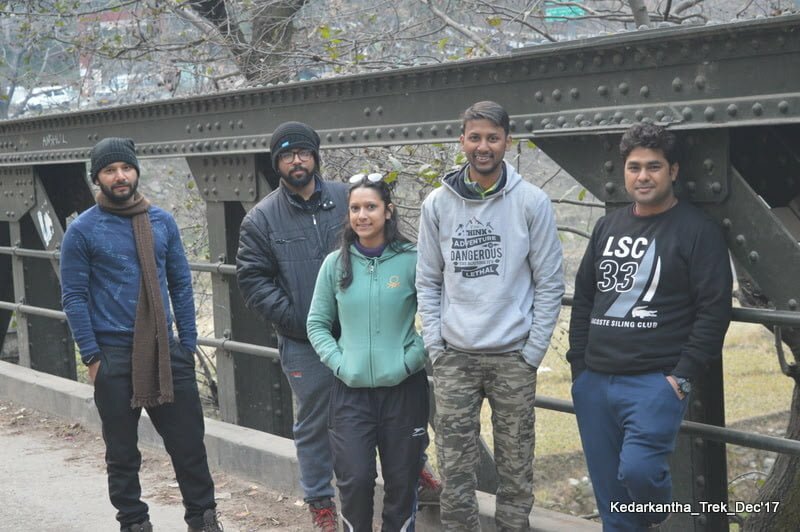 Day 5: Trek from Juda ka Talab to Sankri and drive from Sankri to Dehradun. I was so relaxed and happy when I woke up. I just strolled around the campsite and was just remembering the challenges that we faced yesterday. I was proud of myself to still make it to the top to witness the most beautiful sunrise. We were then called for breakfast. Later we started moving towards the Sankri village. It took us around one and half hour to reach Sankri from where we drove back to Dehradun. Life up there was tough but amazing. I had a dream, I achieved it. What are you guys waiting for? Guneet is a Btech student from Punjab. A keen traveler, nature and sunset lover, travel blogger and sports freak person.